Some of you may recall that about a week ago (in my dreams), I hired Ryan Gosling to work as a manny for my kids. Ryan has been working out great. He is great with the kids and they love him. He's incredibly attuned to my needs too. I just wonder where he got all his knowledge about children with special needs. He's so well rounded. There's just nothing he can't do. 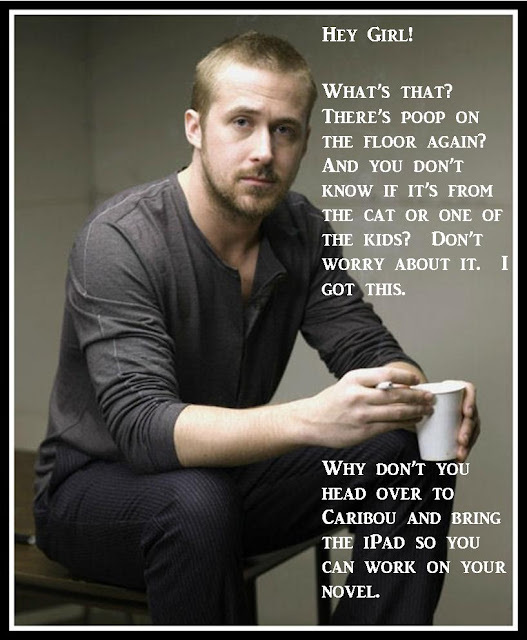 Go see the rest of the Special Needs Ryan Gosling submissions at Adventures in Extreme Parenthood..... This is something she does every Friday, and as usual, I'm running a bit behind. I figure, as long as the link hasn't closed and I can still add mine to the list, it's not too late. Right?